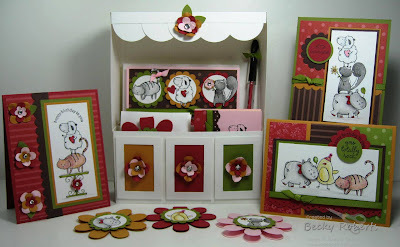 Inking Idaho: The Cardstock Cabinet Tutorial Is Now Available! 32 pages of step by step cutting instructions and color photo directions for completing The Cardstock Cabinet. 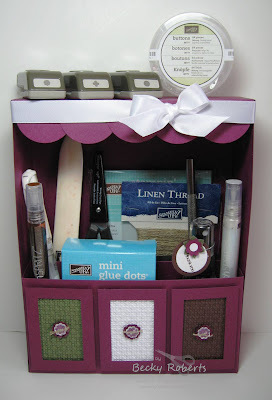 Although it contains several photos of the Cardstock Cabinet with the Pun Fun stamp set I featured on my blog during the Royal Blog Tour, this tutorial is just the Cardstock Cabinet. 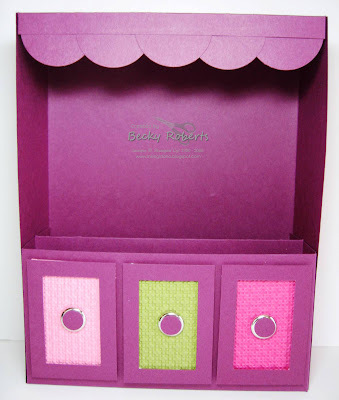 The Cardstock Cabinet pdf file will be e-mailed to your inbox. My tutorials are not class planners they are pattern & instructional tutorials . Feel free to teach this as class! My policy on that can be found here as well as an offer for demonstrators. When purchasing this or any of my tutorials, please know that you cannot forward, rewrite, copy or hand out my tutorials. Projects made with my tutorials cannot be submitted for contests or publication as I reserve that right for myself. Materials used in making this project can be ordered on my demonstrator website HERE. Additional photos of this project using the Pun Fun stamp set, can be found HERE. 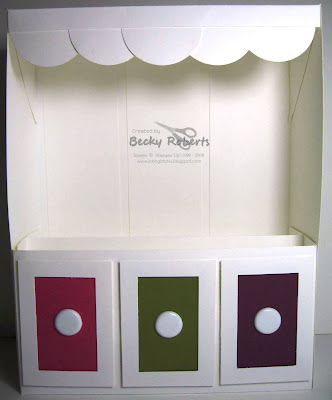 Cardstock Cabinet in Whisper White with Melon Mambo, Old Olive and Rich Razzleberry. Cardstock Cabinet in Rich Razzleberry with Always Artichoke, Whisper White and Chocolate Chip. Additional photos of this project can be found HERE.